Within the framework the EU-Horizon2020 project GEMex, we offer a postdoctoral position to perform research on computational methods for hydraulic fracture propagation (Phase-field, Damage mechanics, thermo-hydro-mechanical coupling) in porous media of super-hot and supercritical geothermal systems. The proposed methods and models will be integrated into the open-source Finite Element platform OpenGeoSys. 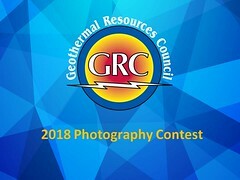 The work is expected to contribute to the concept development for the development and exploitation of such high-enthalpy geothermal systems.